Tilottoma Mozumdar, well known novelist to Bengali readers. Born on January 11, 1966, Alipurduar of Jalpaiguri district, North Bengal. All of the family are engaged in literary activities. The author associated with the editing of Ananda Publishers. 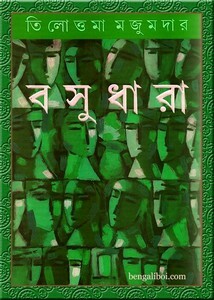 The first novel is Manush Shaboker Kotha. Got Anand Award for the novel 'Basudhara'. Most popular novel is 'Shamukkhol'. Notable works are- Rajpat, Ektara, Chander Gaye Chand etc. Now I want to share above said novel as a pdf file which is collected from het. The pdf quality not good but readable with watermark.